Veganism has skyrocketed in recent years, with more people than ever before choosing to enjoy a vegan or plant-based lifestyle. New research shows that seven per cent of Great Britain’s population are now shunning animal products from their diets and lives and are going vegan. 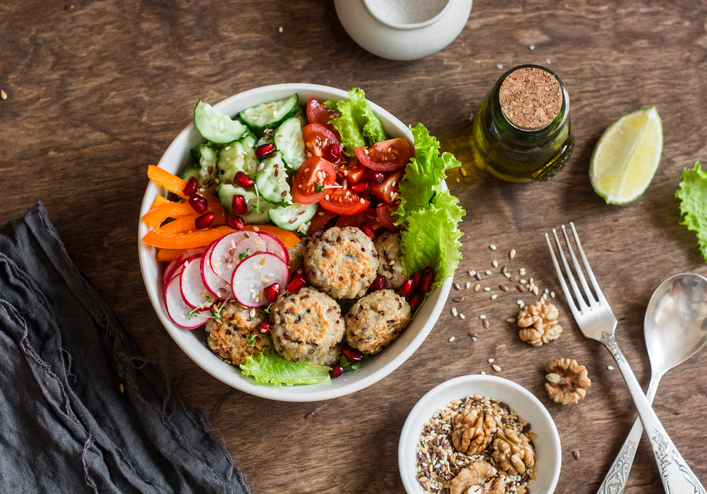 According to a new survey by comparethemarket.com, there has been a significant spike in the number of people going vegan in the UK since 2016, with more than 3.5 million Brits now identifying themselves as vegan. The statistics show a substantial increase since those published by The Vegan Society in 2016, which revealed there were roughly 540,000 vegans over the age of 15 living in the Great Britain. With 3.5 million people in the UK now identifying as vegan, that’s 7% of the population following a vegan lifestyle, a 700% increase in just two years! Supported by Gresham College professor Carolyn Roberts, the research suggests that environmental concerns are largely responsible for edging people towards a plant-based diet, as Brits strive to reduce their carbon footprint. Roberts believes that a shift in diet might even be more environmentally beneficial than other eco-friendly measures, such as reducing petrol and diesel car-usage. “From farm to fork and beyond, food accounts for about 20 per cent of all our greenhouse emissions,” she said. “Estimates suggest that if all of our meat eaters switched to a vegan diet, it would roughly halve total greenhouse gas emissions associated with food.